So i'm getting a bit on my way with the chaos army. 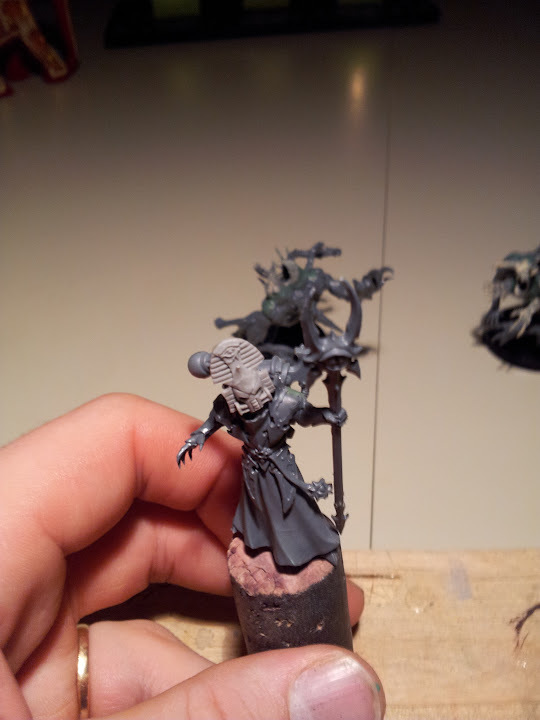 Yesterday i started om some more models. 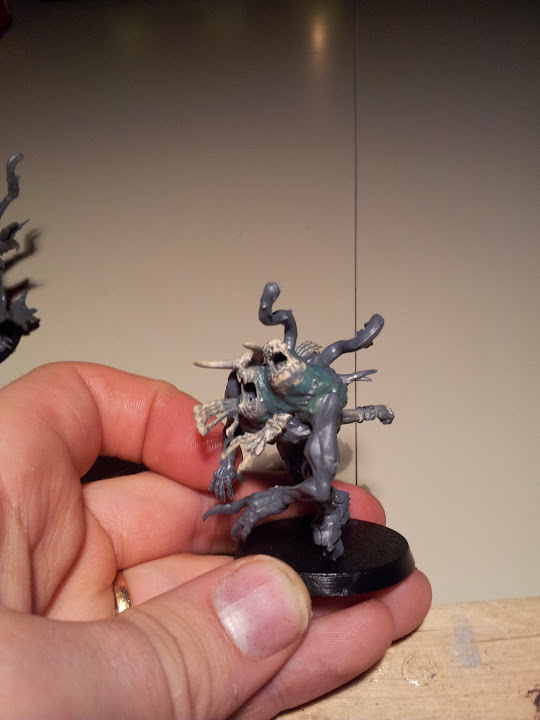 This time it's the Spawns that are taking shape. 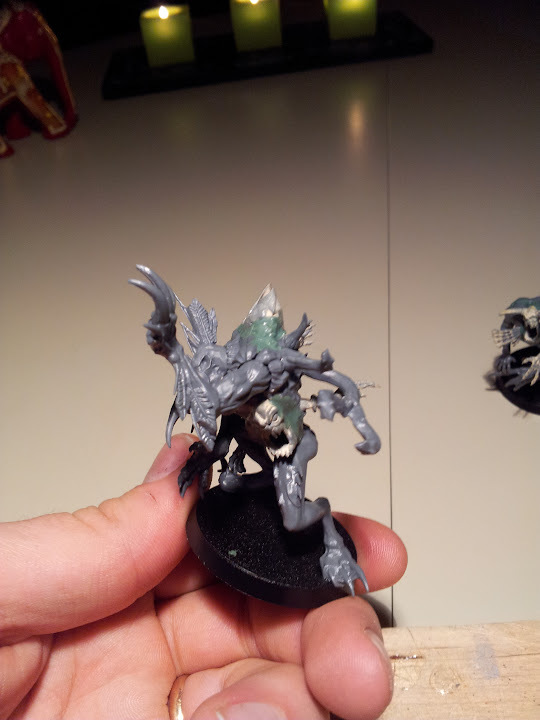 A base pack of chaos spawns and some of Kristians old Horrors and here we go. Lots of cutting and lots and lots of green stuff and they look kind of ichy. My plan is to paint them pink like the horrors. I want them to look like a big horror going bad. I hade some green stuff work to do on my sorcerer as well so i finally got it done. Hopefully i will have some new models to field in the next battle. Greenstuff is definitely your friend. First when told me about your spawn idea I was a bit sceptic, now you have turn my mind completely around. I'm glad to say that you nailed it. Those spawn turned out exactly how I imagined them, really great work!